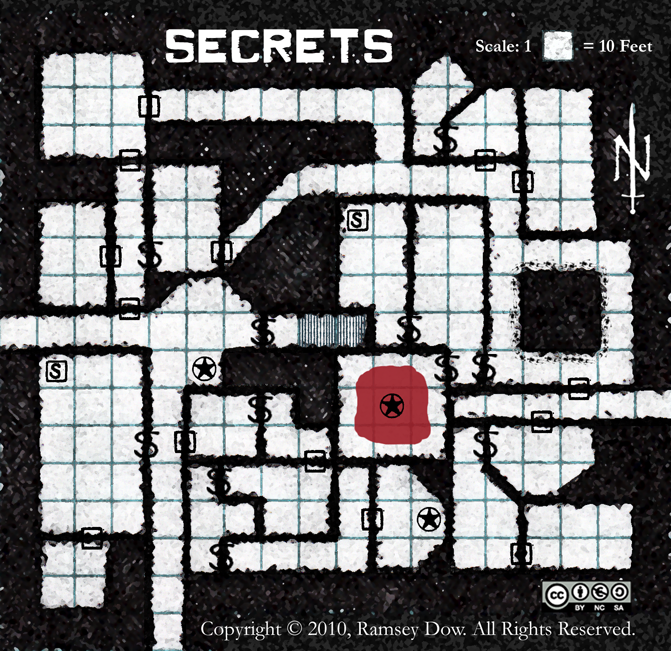 In one area there is a 20-foot square obsidian cube surrounded by twenty skeletons. I am sure that they will animate and menace the player characters in Ray Harryhausen fashion. How and when, of course, is up to you. Do they animate on the approach? Perhaps, when a daft character touches the cube? I really have no idea—you figure it out. In another area is a pool of blood. It's on the ceiling, not the floor. The player characters will probably notice it by the periodic dripping of blood. The statue in the room is looking up and has its hands thrust into the crimson pool. What's the deal with this pool? More importantly, what is living in it? So many questions, O creative DM.